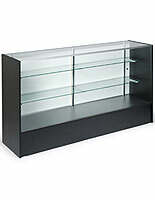 Sliding doors for easy access to the displayed products. 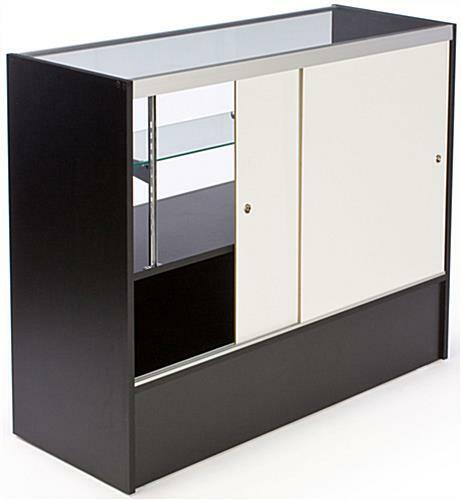 Built-in base cabinet for storing additional items and accessories. 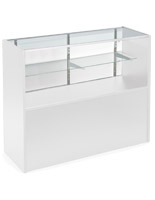 Sleek and contemporary design for use in any retail environment. 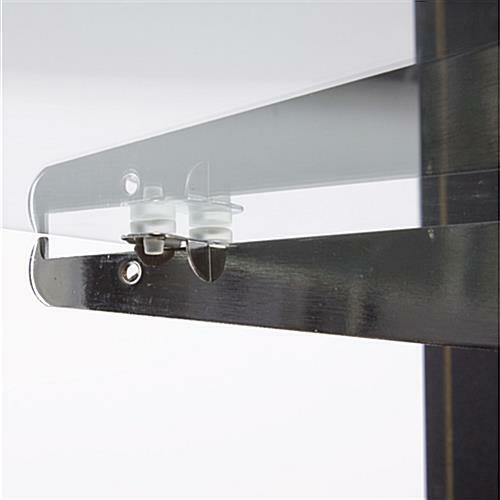 Made from tempered glass for a safer display. 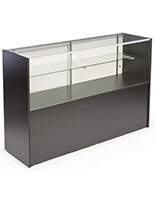 This showcase, also known as a glass display store fixture, is a half vision cabinet, ideal for use in jewelry or electronics stores. 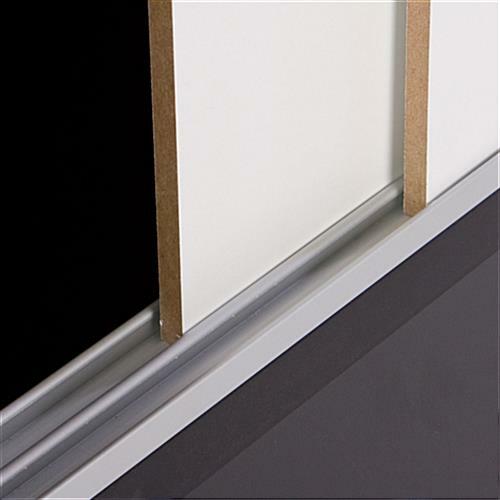 The cash wrap is sold at an affordable price. 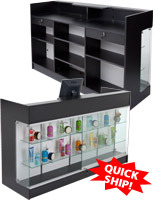 The classic black showcase is built from melamine and tempered glass to last for many years. 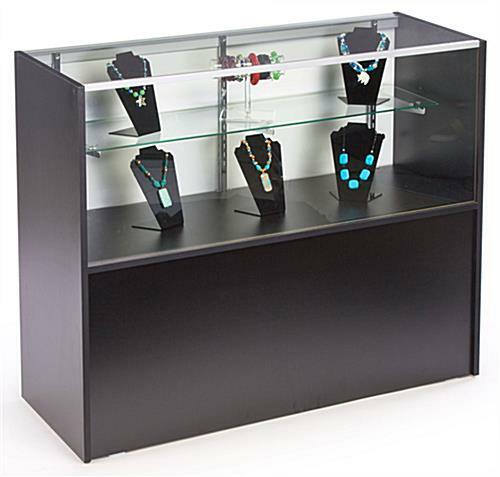 The sleek black finish allows each jewelry case to complement any retail setting. 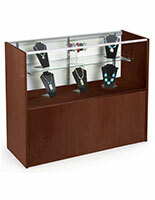 With the showcase, retailers can add style to their businesses without breaking their budgets. 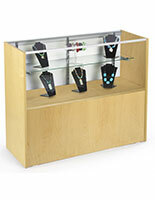 A display case is an excellent way to present your products while keeping them secure. 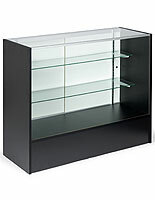 Each glass cabinet features an adjustable-height shelf to accommodate varying product lines or items of various heights. 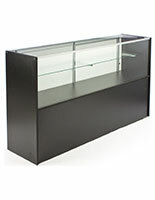 Note: Each cabinet is shipped unassembled to save on shipping costs. Two-person assembly takes approximately 15 minutes. However, we provide each unit with detailed instructions. 46.5" x 9.3" x 15.5"